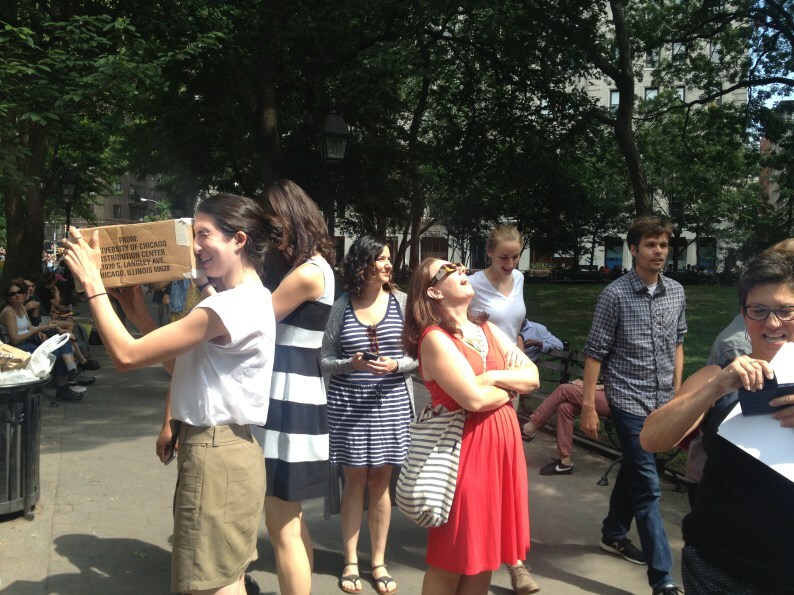 Today, the PPS office took a field trip to Washington Square Park to watch the eclipse. And to watch all the people watching the eclipse. In The Social Life of Small Urban Spaces, William H. Whyte always marveled at the way some things in public space can connect two strangers by providing a third point between them—what he called "triangulation." For an hour or so around America, the eclipse became just such an engine of introduction. 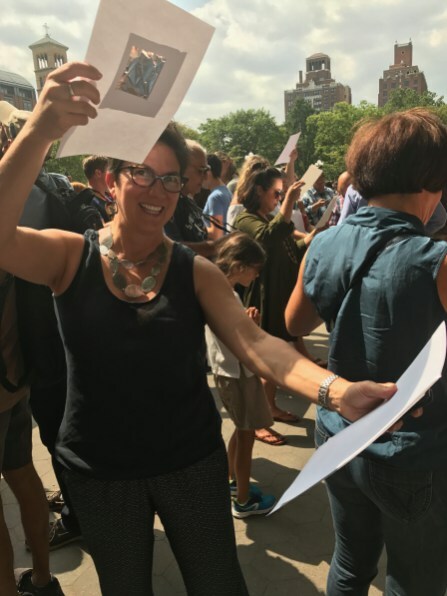 On our way to the park, every street corner where a sliver of sunlight cut across the sidewalk had a small crowd camped out, passing around special glasses. We exchanged greetings with another group as we passed by. 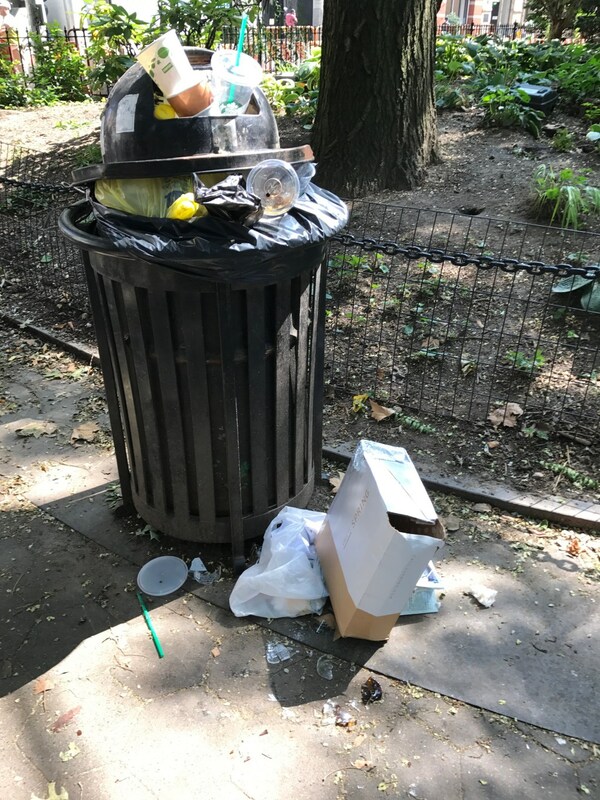 Washington Square Park, which is busy on a normal day, was packed, and nearly everyone was in a congenial mood. 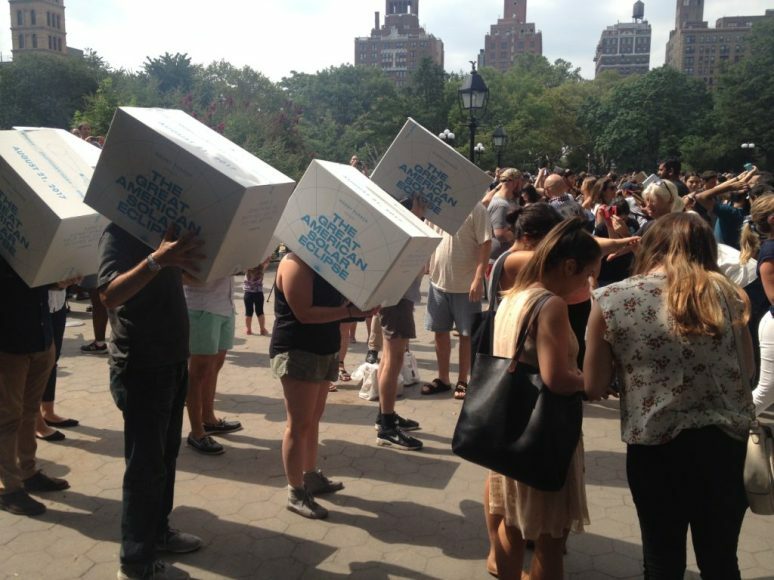 People shared paper glasses, phones, pinhole cameras and contraptions of all kinds to enjoy the spectacle together. 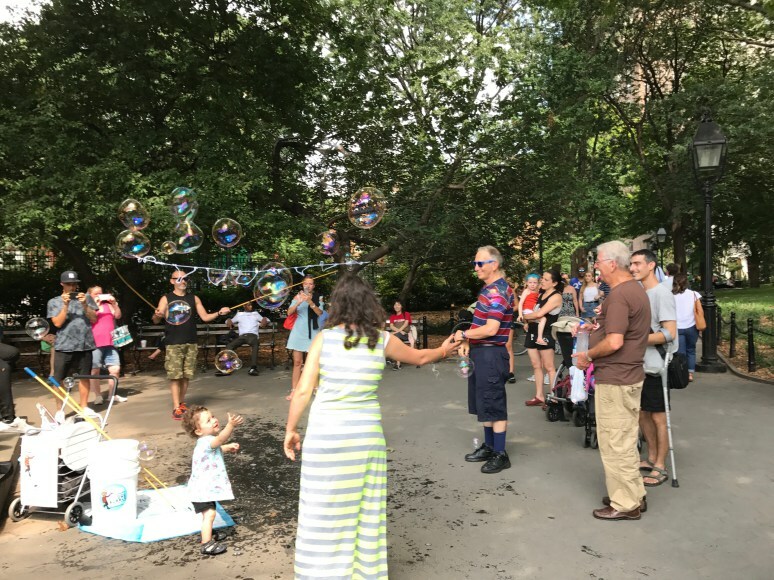 Anticipating the crowds, vendors and performers descended with ice cream sandwiches and giant bubbles. Children lost interest quickly, filling up the fountain and popping bubbles instead. 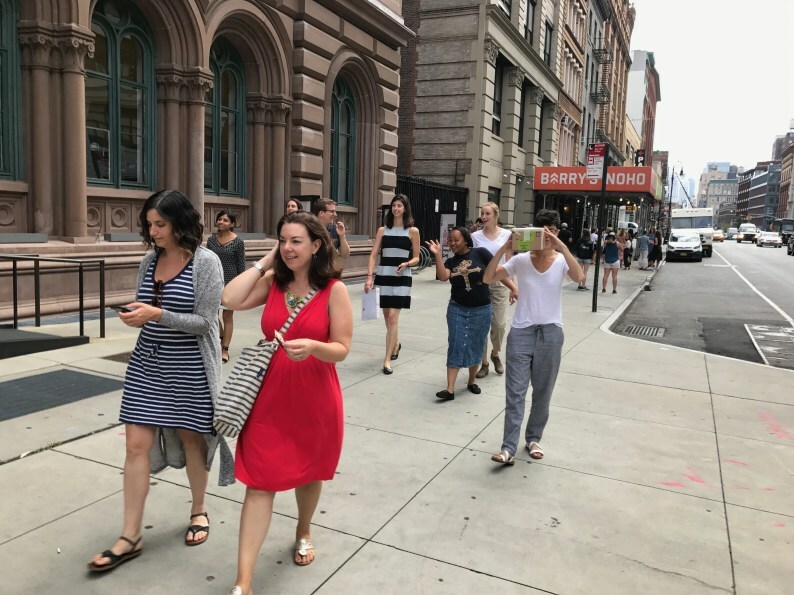 Students, office workers, and tourists chatted, and a cheer rose up as the eclipse reached its peak, around 2:44pm. 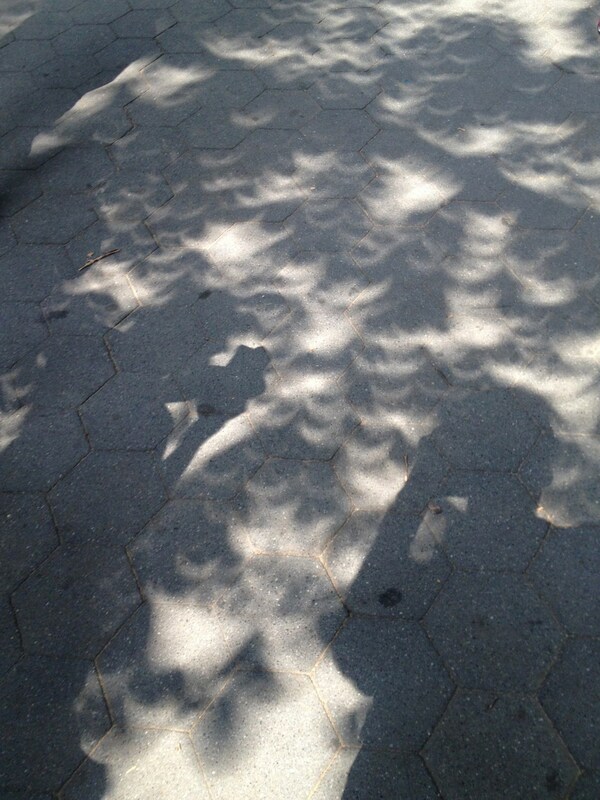 Not every day can have an eclipse, but every day could use a little more triangulation like this. 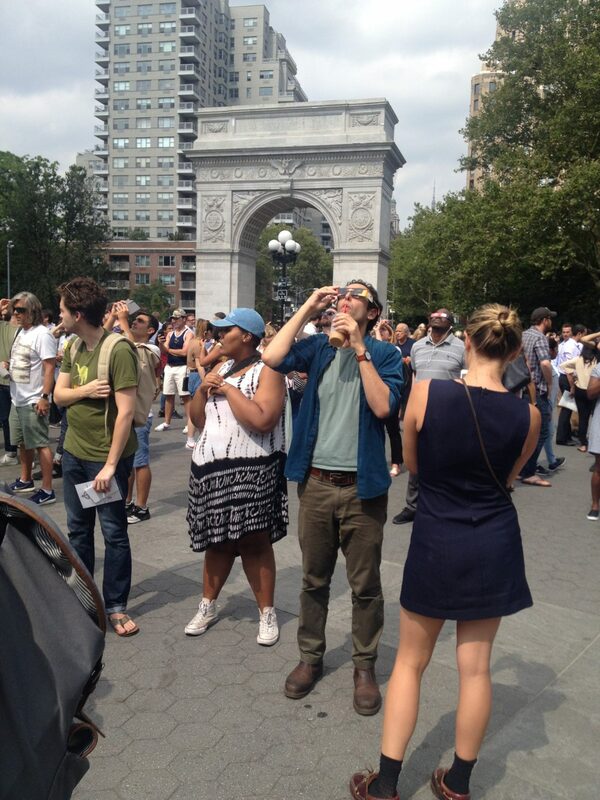 Did you watch the eclipse in public space today? Did you see any triangulation? Any Lighter, Quicker, Cheaper improvements to the viewing experience? 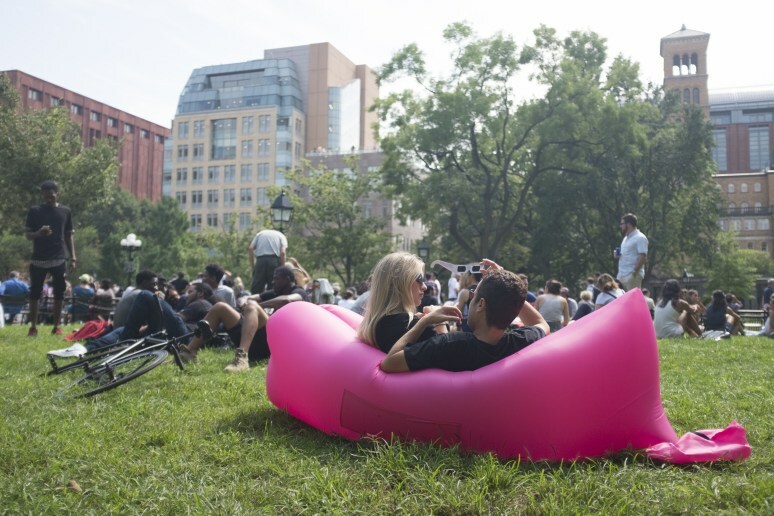 Share your people-watching stories and photos with us by tweeting #PublicSpaceEclipse or tagging @pps_placemaking on Twitter!